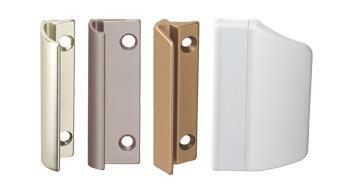 Window handles are an important functional and stylistic feature. They move the hardware to tilt and open the window and close it again. 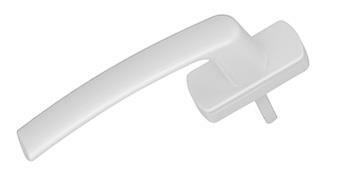 To do so, the handle must sit perfectly in your hand and operate the hardware smoothly. A window handle that can do this makes operating the window a pleasure, both functionally and in terms of look and feel. 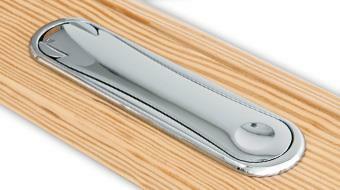 Our reliable product quality is reflected in a performance guarantee of 12 years for window handles. RAL tested. SYMPHONY combines elegance and style in an aesthetic design that ideally complements large glass areas and slender, rounded window profiles. Not really cornered and not exactly round, the handle adds grace to any modern window. Visual understatement is its unobtrusive strength. 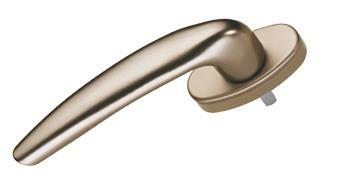 The handle is available in the colours bronze, champagne, RAL 80149 grey brown, RAL 9016 traffic white, silver, and titanium. RAL tested. 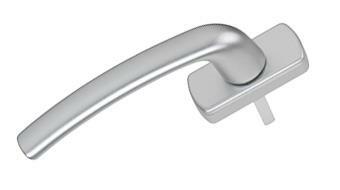 This handle blends full-fledged design with a pleasant look and feel. Its ergonomic design opens the door to a unique kind of charm. Each and every point of design and functional detail match perfectly. RHAPSODY enthrones the window with full exuberation. 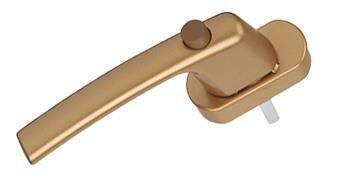 The handle is available in the colours bronze, champagne, RAL 9016 traffic white, silver, and titanium. 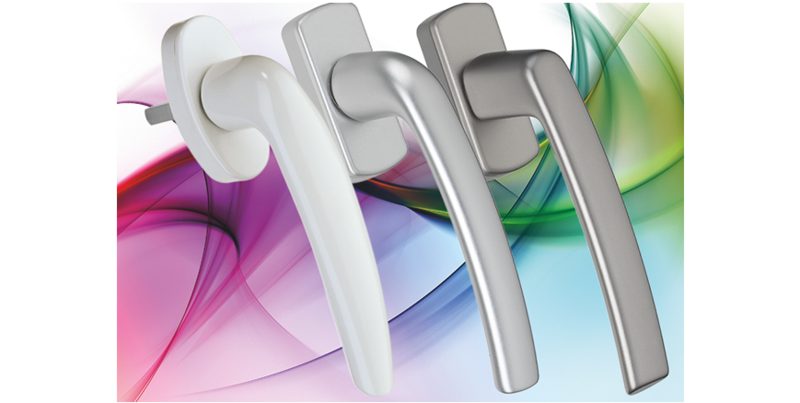 The sturdy window handles made of high quality stainless steel, with or without lock cylinder, is available in three different shapes, and blends a noble, purist optic elegantly with modern architecture. The matt surface also has a fresh, contemporary look. 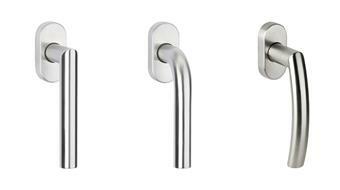 All UNITY handles are also extremely easy to maintain and resistant to environmental influences. The decision to choose stainless steel is thus always the right one. The window handle which seduces - to look at and touch. TENTAZIONE is recessed into the sash profile. Thus the handle element and window sash blend to form a single unit. With its slightly raised boundary zone, the handle cover perfectly conceals milled edges. The closing and opening mechanisms of the window remain unchanged. The window functionality in terms of burglary resistance and ventilation also remains unchanged. Slight pressure on the TENTAZIONE lifts the slender handle body from its integrated position. Handle operation is then as usual. It is available in the colours chrome (brushed and polished), gold-look, stainless steel-look (brushed) and RAL 9016 traffic white. The finger pulls were designed according to the special requirements of our customers and combine aesthetic design with high-grade functionality. The low installation height lets the finger pull fit neatly between the casement door and the roller shutter or window shutter. The design makes for straightforward operation. The range of surfaces are easy to clean and durable. The finger pulls are available in the colours bronze, champagne, RAL 8022 black brown, RAL 9016 traffic white, silver, and titanium. 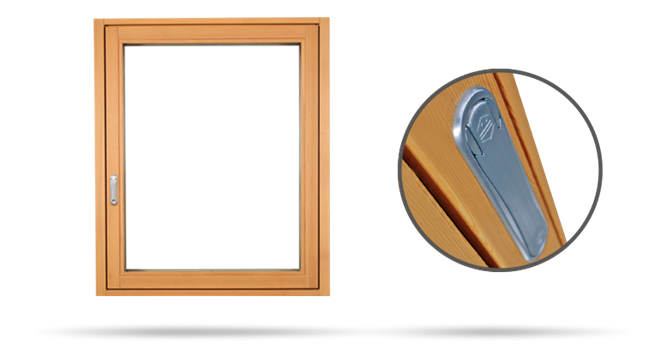 The TRESOR handle provides security according to ENV 1627 - 30 with a resistance strength of at least 100 Nm against the handle being torn off the window sash and against the locking mechanism being twisted off the window handle. TRESOR is available in the MACO standard colours in the versions TRESOR-S with locking button and TRESOR-Z with key locking. Both versions are available in the colours bronze, champagne, RAL 80149 grey brown, RAL 9016 traffic white, silver, and titanium.